October 2012: Tips, eNews & More! Autumn is the favourite season for many of us. The brisk morning air makes for a perfect walk before we head to work, while the colourful leaf displays seem a fair trade for the shorter days. Thanksgiving (October 8th) and Halloween (October 31) are just around the corner. Halloween falls on a Wednesday, meaning that ghosts and goblins may be out early in the evening, so be careful as you head home from work or school. Whether you are hosting a get together, attending one, or are just looking for a treat, we've included a recipe that uses in-season local fruits and berries. Is your dental plan based on the calendar year? If so, your coverage maximums start over on January 1 and your unused benefits may not roll over into the new year. That means if you don't use them, you lose them! If we haven't seen your smile in a while, click here to schedule an appointment in time to benefit from your Plan. Straight teeth and proper bite alignment are more important than just a beautiful smile. Straight teeth are essential to gum health, speech, proper chewing and more. Bite alignment contributes to jaw comfort, facial appearance and oral hygiene - and the list goes on. 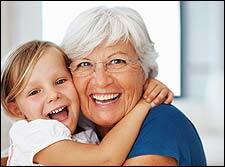 It is never too late to straighten your teeth and correct your bite. We would be pleased to discuss the health and beauty aspects of your mouth. Feel free to request a consultation today! Remember to be extra careful on the roads and have a safe and healthy month. Celebrating a birthday this month ....is Lisa! We wish her a fun birthday and all the best in the coming year! 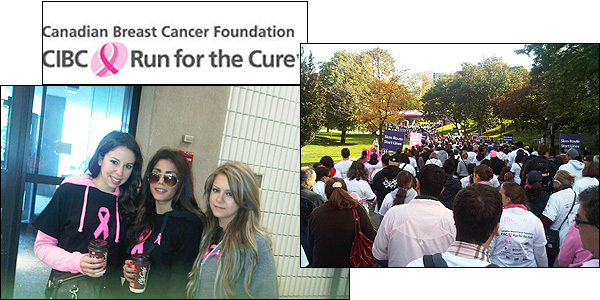 Also, Lisa participated in the 21st annual Canadian Breast Cancer Foundation "CIBC Run for the Cure." Well done Lisa! Click here to see photos! Sport Season Is Upon Us. If you've enrolled your child or yourself into a contact sport or activity, you have undoubtedly created a list of safety equipment you will need. If a mouth guard isn't on your list of equipment, add it now! Make sure you children are well equipped. They need to fit well in order to get the most best protection possible. If your children require a new custom mouth guard contact our office. Custom team colors available! Are you carving a pumpkin this year for Halloween? Take a snapshot of it and submit your photo to the following email contestlwd@gmail.com. You don't have to be a patient of LWD to enter. Invite your friends, family and colleagues to enter the contest. 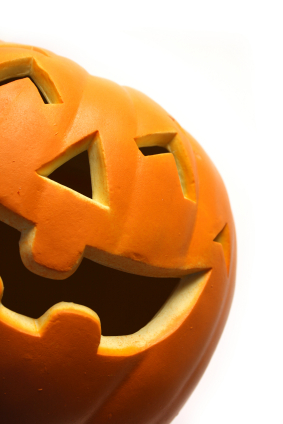 Carving your pumpkin is a wonderful way to spend the afternoon with the kids and family! The winner or the Great Pumpkin Carving Contest will Win a Professional Whitening Kit! Try to pick the best photo and send only that one. We will be posting the winner of the Great Pumpkin Carving Contest on Facebook , Twitter and in our November 2012 newsletter . 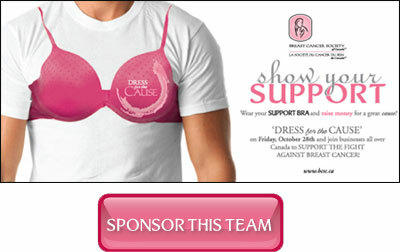 Dress for the Cause Campaign. LWD team is a proud supporter of the fight to end Breast Cancer. You can also donate at our office! Are you hesitant to show your teeth when you smile? Is your smile missing something? Maybe even a full tooth! Many people, for one reason or another, have lost a tooth. Reasons range from poor dental hygiene to any variety of accidents. Whatever the reason for the missing tooth we can repair your smile and replace your tooth with a dental implant. A dental implant is a small prosthetic post that is placed into the bone of the upper or lower jaw. The post functions as the root portion of a lost natural tooth and serves as an anchor for a replacement tooth. An artificial tooth is then attached to the post. Dental implants look and feel exactly like natural teeth - in fact, no one other than you and your dentist will be able to tell the difference. Who are dental implants for? Money Matters brought to you by our very own seasoned expert Maria Tsiaousidis. Preparing to buy a home? The more prepared you are as you start looking for a new home, the easier and more enjoyable the process will be. The first thing to consider is your needs vs. your wants. Looking for a new home can seem overwhelming at first. There are so many things to think about, and so many choices. A small investment of time and effort right at the start will pay enormous dividends. I am very committed to all my clients and I will work very closely with you every step of the way. I will provide you all the knowledge to help you organize your thoughts before we even begin to actively search. Making a plan will simplify the process, save you time, and help lead you to the right home! While the hot dry summer reduced the pick your own apple crops, Autumn blueberry and strawberries are still available at many pick your own farms or can be found in abundance at your local grocery store. Picking your own food can be extremely satisfying and allows you to know exactly how fresh the foods you are feeding your family are. If you can't make it out to the farm for this recipe, we suggest looking for berries that were grown locally in Ontario. This not only supports local farmers but will likely be closer to their harvest date and more flavourful.